Halo 4 has been out for a while now. And by all accounts it’s done extremely well. The campaign now feels that it carries more weight and greater relevance than previous Halo releases. And the multiplayer aspects have also been extensively re-worked to keep them fresh and up-to-date. All in all, 343 Industries have done exceptionally well. They took the proverbial bull by the horns and charged into a new beginning with gusto, innovation and a great deal of respect. But the one thing that stood out in this iteration of Halo was the emotional weight of the campaign. It was a touching story that I constantly find myself thinking about every day, and it’s this aspect of the game that I’m going to concentrate on. So I’ll warn you now. There are SPOILERS AHEAD! 343i promised, and they delivered. They stated the Chief would exhibit more humanity, more personality than ever before. But I think 343i undersold themselves. The Chief has always displayed the odd sign – the odd trace – here and there, of his humanity. 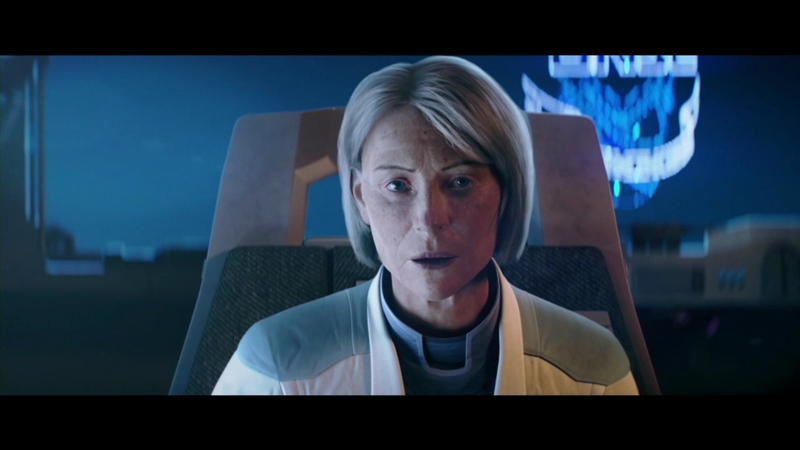 From Halo 2 onwards we saw slivers of emotion, especially where Cortana was concerned. 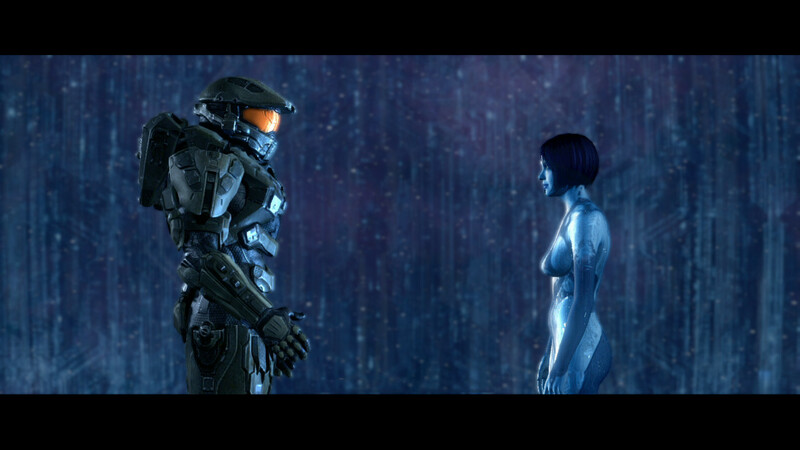 But the one scene that captivated me, pre-Halo 4, was the Chief finally reuniting with Cortana in Halo 3. He displayed enough emotion, mainly through body language, to tell me that his emotional shell, his means of remaining distant, was beginning to crack. But in Halo 4, it shattered. The Chief doesn’t just talk, he converses. It was relieving to hear his voice on a regular basis. I could feel the relationship between the Chief and Cortana growing and evolving throughout the game, which made her apparent demise all the more poignant. Just when the Chief is really starting to develop and display his humanity on a completely different level, his one anchor to that fledging aspect of his existence is torn – ripped – away. And he is left, for the first time in the series, truly and undeniably alone. And we, gamers, are left with one all important question: is Cortana truly dead? It’s an important question; one that, if answered, will resonate throughout the fictional universe and the community for quite some time. But I don’t think Cortana is dead. I think she’s very much alive, and far more capable than before. The portal is open, Cortana is represented as a hard-light being. But more importantly, the possibility of an AI existing in Slipspace is nothing new. It’s a concept that harks back Dr. Halsey’s diary, and an attempt to experiment with a Slipspace drive. You see, Halsey believed that an AI, like Cortana, could exist in Slipspace without the limitations of rampancy and holographic projectors. Instead, the resident AI would be more powerful and more capable than before. So in short, I think Cortana is alive, in some form. But I think bringing her back would be a bad idea – a cheap parlour trick commonly reserved for soap operas. “Don’t worry, Chief. It was all a dream”. It just doesn’t work, does it?. That’s not to say that 343i would come up with something similar to Dallas. It’s fair to say that 343i would tackle it with a great deal more professionalism and skill, weaving a carefully crafted story that integrates a post-Halo 4 Cortana into the rest of the story. But it could seem a bit of a cop out, a cheap move perhaps. Though I suspect people will disagree. But here’s my take on it: I think 343i need to keep Cortana dead – very dead, for the sake of the fiction. Do I want her to come back? Yes. She’s a great character, and she balances out scenes with a very stoic and reserved character, the Chief. But we have Halsey now. Don’t we? Yes, you did read that right. I think Cortana should remain dead. I know this probably comes as a shock for most of you. Here, a fan like me, stating that they should keep one of the most popular characters of Halo dead. But in the world of fiction and narrative it’s important to keep the player/audience/reader guessing. If they figure our what the writer is doing then everything after that is undone. But it’s more than that. Bringing her back, as an AI in Slipspace — a more powerful counterpart to the Chief could be seen as cliche. And we don’t want that. Do we? But is there a balance between the two? Could we, or more to the point, could I accept the return of Cortana without it coming accross as cliche? There’s definately a part of me that says she should come back, but as a very different entity, as mentioned above – one touched and altered by her experiences with Forerunner and Covenant technology, and by her contact with the Gravemind. She should be almost human or perhaps even more than that. Thanks for this post. I’ve been thinking about the missing pages in Halsey’s journal since Reach was released, but could never articulate what I was trying to get across. It seems most likely to me that Cortana’s “physical” presence (ie. the chip that only returned post-Halo 2 for narrative reasons) has only been a sort of interface to normal space since that event. Kind of like the body/mind model, or the mice in Hitchhiker’s Guide to the Galaxy. Cortana might not have even realised herself. Maybe, if when she thought she was tearing herself (her mind? personality?) apart, all she really destroyed was that interface, then her “essence” (soul?) remains in slipspace. Perhaps Cortana will move from being a constant companion, to more of a literal and figurative deus ex machina, providing just enough presence to let you know, subtly, that she is watching, and occasionally acting. This idea just popped into my head. During the events of Halo 4, the Librarian is able to ‘capture’ Cortana, knowing full well that the Chief will come looking for her, thereby allowing her to pass a message on to the chief. We see the Gravemind do something similar in Halo 3, dropping hints to the Chief, again knowing that the Chief will come looking for Cortana, and the Gravemind will have another shot at the Chief. So, perhaps, at the end of Halo 4, the Librarian somehow ‘saves’ Cortana, once again knowing that the Chief will come looking for her. I know the Halo Xbox One trailer is not set in stone, but the Chief does appear to be searching for Cortana. That, or his memory of her is spurring him on another mission.